Aggressively designed to reduce weight without sacrificing performance, the ROGERS® Ultima Series model SP55PL is our latest 55-ton detachable gooseneck trailer. It features the "NoFoot"® self-lifting gooseneck, the Croucher® low, tapered front end, and a "Bucket Pocket" in the deck. 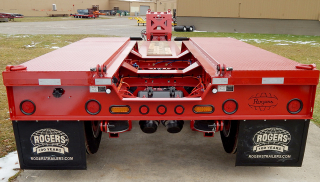 The wide "Boom Trough" in the trailer's rear frame combines with the 20" loaded deck height for a remarkably low transport height. 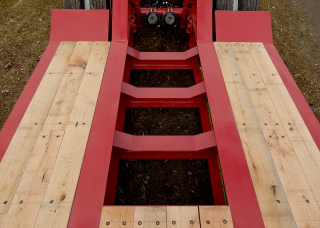 The "Bucket Pocket" in the rear of the platform deck is constructed with lowered cross beams which allow equipment to be loaded to minimum travel height. 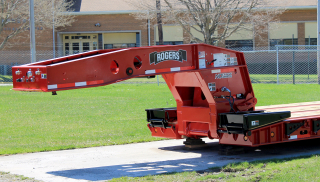 The powerful "No Foot"® Tower style gooseneck uses low hydraulic pressures to detach and can lift a full trailer without shifting the load. The gooseneck also features trapdoor extension blocks that can provide up to 4" of adjustment to the 5th wheel height. 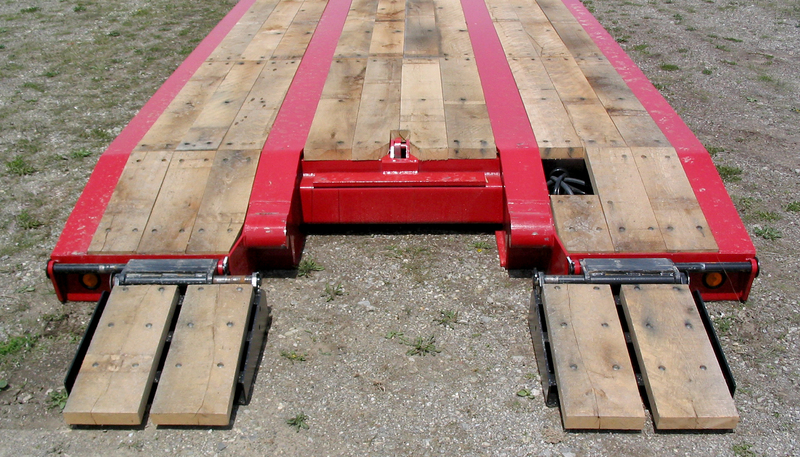 A variety of approach ramps are available - including the laterally adjustable front folding ramps shown.